Glenna takes care of all our patients’ financial arrangements, insurance claims, benefits, treatment plan coordination, appointment scheduling, bookkeeping, and general operations of the front office. With us for more than 25 years, Glenna has built many relationships with our patients and loves helping them achieve their dental goals. Glenna has two grown children and four grandchildren. She spends a lot of time helping with their activities and keeps very active in her personal life. Patti greets our patients while assisting with the treatment plan coordination, appointment scheduling, and general operations of the front office. She enjoys interacting with each patient and helping them keep their smiles healthy. Starting with our practice in 2017, she is proud to be part of a team that helps patients reach their dental goals. Patti grew up in Wamego and graduated from Wamego High School. She has been married for more than 30 years to her husband, Wayne. They have two grown children, Jared and Jessica, and two grandchildren, Zoe and Rowan. She enjoys spending time with her family, reading, sewing, and learning new things. Erin provides our patients with preventive dental treatment, periodontal therapy, and caries risk assessment, as well as home hygiene education. Erin has more 40 years of experience in gentle hygiene care, joining our practice in 2004. She loves getting to know each patient on a personal level and feels a sense of accomplishment when her patients improve their oral health. Erin’s husband Stu works for K-State Research and Extension. They have two married sons and twin granddaughters. Christy is one of our wonderful dental assistants. 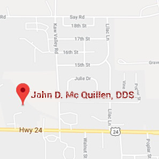 She helps to make our patients’ smiles healthier and more beautiful at the side of Dr. McQuillen. Over the past eight years, she’s enjoyed meeting new patients, talking with them, and making sure they have a good time in our office. Christy is also proud to work with our excellent team. Christy married her high school sweetheart, John. They have one daughter, Amber, and two sons, TJ and Todd. She is a proud Marine mom and loves to spend time with her family. Christy also breeds Yorkshire puppies and has enjoyed singing in several Columbian Theatre shows, as well as in karaoke venues around the surrounding towns. Lesa provides quality preventive care and therapeutic periodontal treatment to patients, and education on ways to improve their smiles. 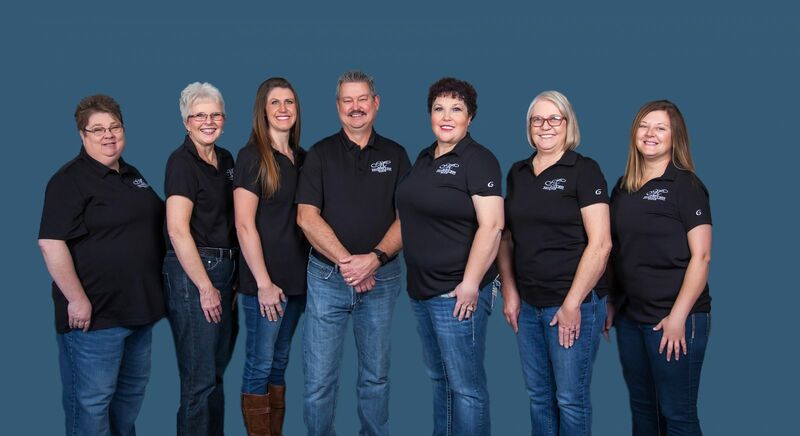 She strives to create a comfortable and positive dental experience for each patient she meets and enjoys talking with them and getting to know them on a personal level. Lesa lives outside Alma with her husband, Justin, their daughter Hadley, son Waylon, a dog named Mitzi. She enjoys camping, crafting, and pretty much anything outdoors. Jeanne joined our dental team in August of 2014. As a dental assistant, she works alongside Dr. McQuillen during patient procedures. Jeanne’s biggest goal is to ensure our patients’ comfort at all times. Jeanne has two daughters, Caiden and Justice, and a dog named Rascal. She enjoys spending time with her friends and loved ones, and watching Justice play softball. The entire family loves camping and being outdoors. 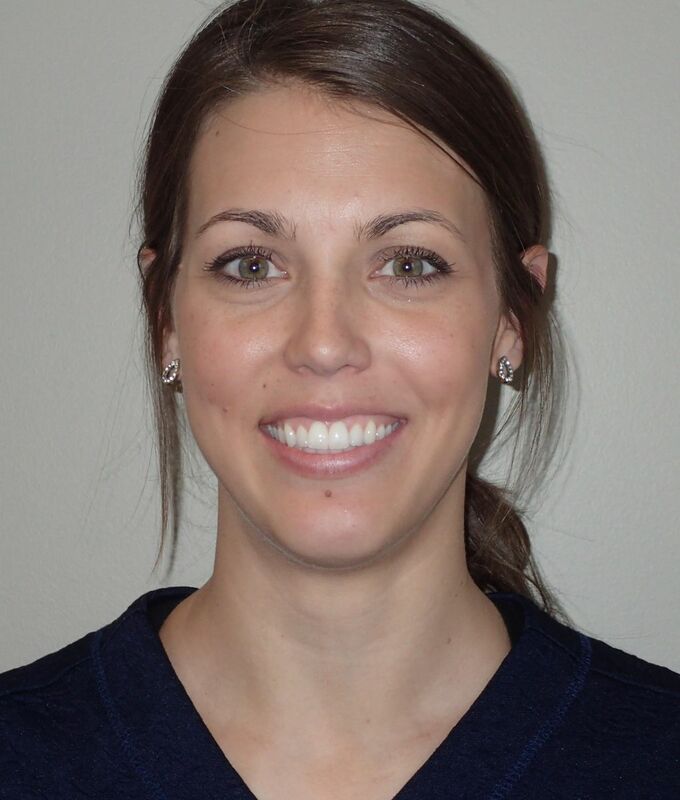 Kayla Hagedorn is a Registered Dental Hygienist and graduated in 2011 from Central Community College in Hastings, Nebraska. Kayla joined our team in 2018 and is a great addition to our growing practice. Kayla and her husband live in Frankfort with their young triplets.